Both the Coop Home Goods and Casper pillows provide unique twists on the classic pillow. 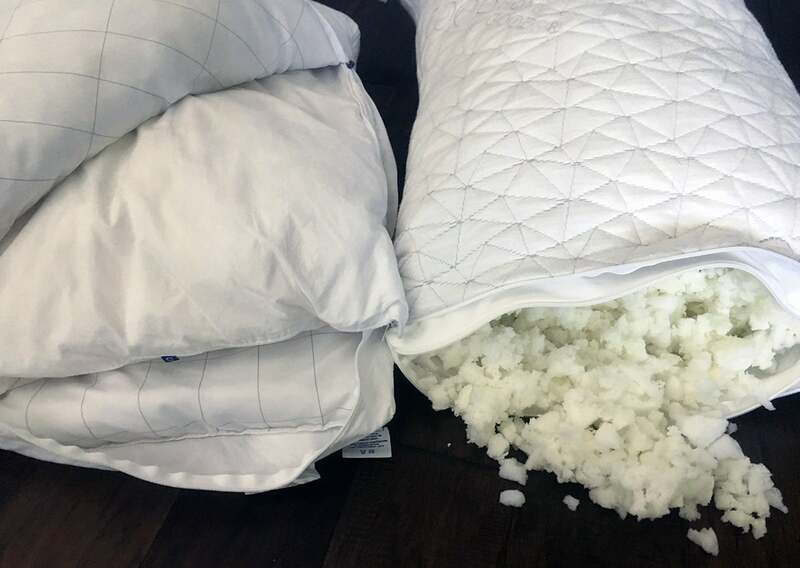 Coop Home Goods offers adjustable shredded foam filling and Casper’s pillow-in-a-pillow concept makes it stand apart from other down alternatives. So what features do they have in common? Read on for my full comparison. You can read the full Casper pillow review here. Check out the full Coop Home Goods pillow review here. You like the feel of a down pillow. The fibers in both the inner and outer pillow mimic the feeling of a down pillow, including the need to fluff it occasionally. You like the feel of crisp cotton pillows. Casper pillows are made with 100% cotton in a percale weave, which gives them that clean, cool and extra crisp cotton feel that some may prefer to Coop Home Goods’ textured bamboo/polyester blend. You are a stomach sleeper. The down-like feel of the Casper pillow makes it a potentially good fit for stomach sleepers – especially if you remove the outer pillow which lessens the loft and filling. You want a pillow for all sleep positions. 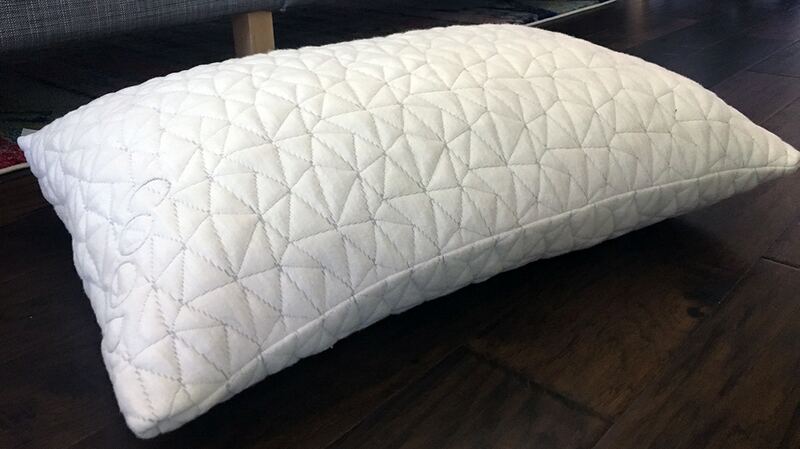 With the Coop Home Goods pillow, you can add/remove as much of the filling as you desire. This makes it great for anyone, but particularly those who sleep in multiple different positions and need to find the exact right loft and support for the proper neck and spinal alignment. You prefer foam. While Casper features polyester fibers as a down alternative, Coop Home Goods is filled with pieces of shredded memory foam. This provides good support and responsiveness and could be a good fit for those who are used to or prefer foam pillows. You love the feel of bamboo textiles. Bamboo is known for being super soft and lightweight, which makes it great as a pillow cover. Coop Home Goods features bamboo fabric in their cover which helps it breathe and feels great against your face. 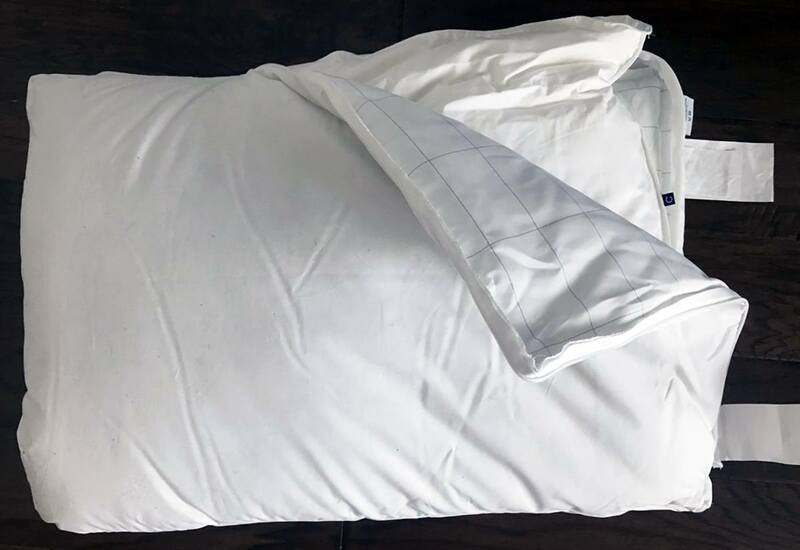 Back and side sleepers will probably prefer the firmness and support of the shredded memory foam in the Coop Home Goods pillow, but even stomach sleepers can enjoy it if they remove enough filling. Stomach sleepers (and even some back and side sleepers who prefer a down-feel) will love the crisp cotton and cozy feel of the Casper pillow. Plus, the pillow-in-a-pillow design is pretty cool. 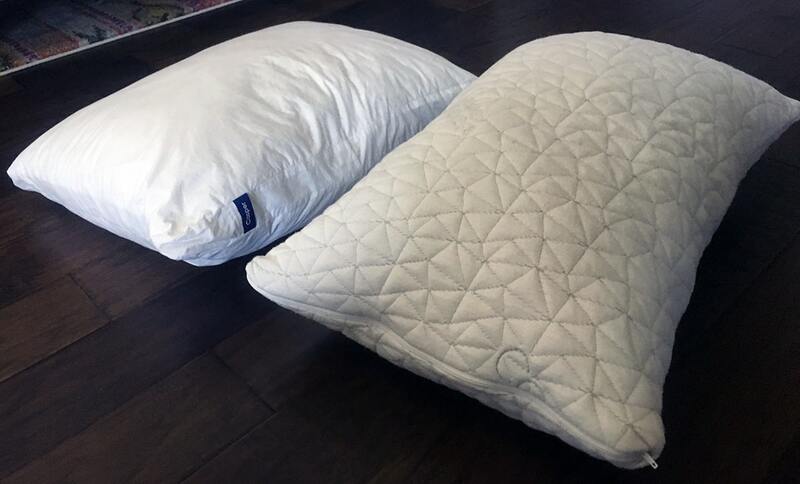 Fortunately, both pillows come with trial periods for you to test them out and warranties if needed.